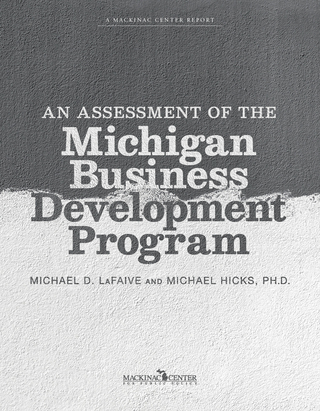 The original law establishing the Michigan Business Development Program — which has already been amended — contains key mandates authorizing the state to “provide grants, loans, and other economic assistance to qualified businesses” that create jobs or make certain investments in the state. The MBDP is run by the Michigan Strategic Fund and the Michigan Economic Development Corporation. The MSF was created by Gov. James Blanchard and is the entity to which state appropriations are made to fund many economic development programs, including those administered by the MEDC. It has its own board and — according to the MEDC — is now directly responsible for the majority of the state’s economic development programs. The MSF is responsible for approving the grants, loans and other economic assistance provided through the MBDP. The MBDP law mandates a number of key items, which include but are not limited to, giving assistance to businesses that are or will be located in the state of Michigan, publishing a process for applying and being approved for state subsidies and disclosing this activity. Any company approved for such favors must sign an agreement detailing what is expected of it in order to receive help from the state. Each agreement compels an audit of certain information by the state to ensure that detailed stipulations are met. No recipient may collect in excess of $10 million for a particular project. There are also transparency requirements for the Michigan Strategic Fund overseeing the program. Officials must post online information about each agreement, including the name and location of each business in the program. Lastly, and of particular note, the state mandates that “an evaluation of the aggregate return on investment that this state realizes on the actual qualified new jobs and actual qualified investment made by qualified businesses.” This entry was worth quoting in its entirety. The state uses a software model to forecast the return on investment associated with the MBDP subsidies and other incentives. [*] MCL § 125.2088r(3)(a). As just one example, the MBDP deal for Spiech Farms includes a contribution of “staff time” from Southwest Michigan First, a local economic development agency, in support of an expansion project in Paw Paw, Mich. The state offered the company a $220,000 subsidy through the MBDP. “Project Summary: Spiech Farms” (Michigan Economic Development Corporation, 2016), https://perma.cc/Y3PF-NV9X. [†] MCL § 125.2009. The original law mandated that reports to the Legislature also include the education backgrounds of people hired by the businesses as part of those respective deals and whether or not they moved from out of state. This is no longer the case. Also, MSF’s reporting requirements are now consolidated in one statute and the MBDP statute no longer contains its own separate reporting requirement. “Public Act 250 of 2011” (State of Michigan, Dec. 13, 2011), https://perma.cc/S578-HCKH.